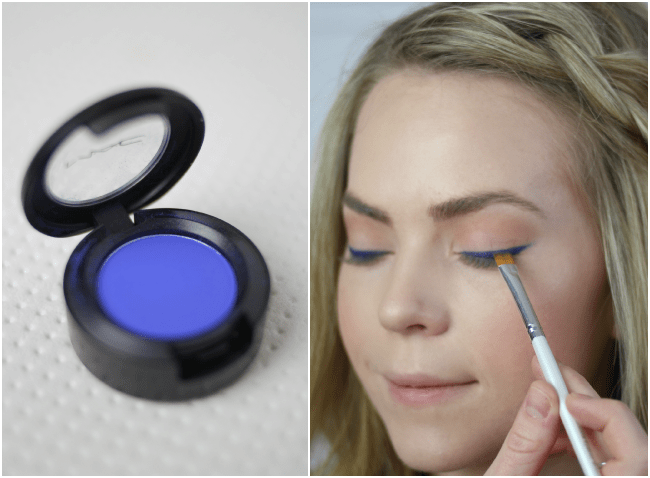 Peek-a Blue eyeliner is a great way to ease into the blue eyeshadow trend for Spring. Wearing colorful eyeliner is always so much fun. I love wearing blue in particular, as evidenced by this past post Bold Blue-Aqua Liner tutorial. Oftentimes, it can be great as the one day change-up you need to feel as though your makeup look has been refreshed and new. If you are one of those who loves the idea but doesn’t dare try it, I have some great tips for you. Eyeliner is usually black and the staple color when it comes down to it. For a fresh alternative, switch to a chocolate brown or even taupe. It creates a softer look yet still gives the appearance a black liner would. When you are feeling a little more brave and want to reach out of bounds a little bit, opt for a deep maroon shade. This is such a fresh color, especially in Autumn. The deeper the shade the closer it reaches into the category of brown. This is nice because red liner and eyeshadow can oftentimes give the appearance of red, swollen eyes if applied haphazardly. If you would classify your skin tone as more cool than warm, a great green color also works well too! I love this idea and will sometimes lay a brown eyeshow over half the green liner to blend it a little better. Another great tip if you aren’t a big fan of colored liner. When you’re ready, go bold with blue liner and fall right in line with one of Spring’s hottest trends. Follow the steps below to see how to achieve the look. Step 1 / Begin with a base of your favorite neutral shadow. 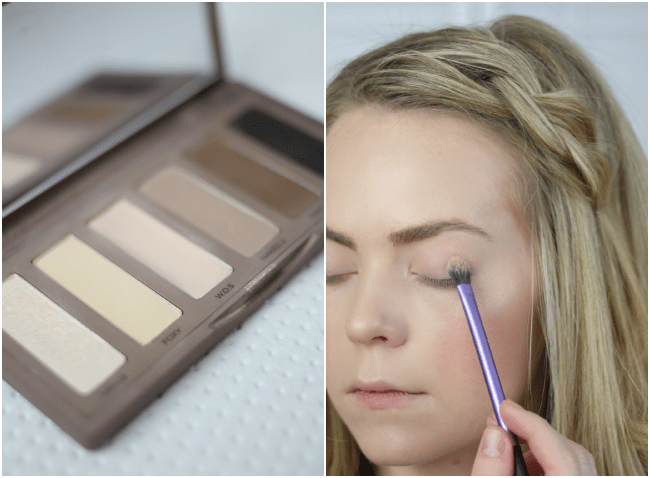 I am using WOS from the Urban Decay Basics Palette. Gently pat the color all over the lid and up to the eyebrow. I am using a Real Techniques brush from the Starter Makeup Set. 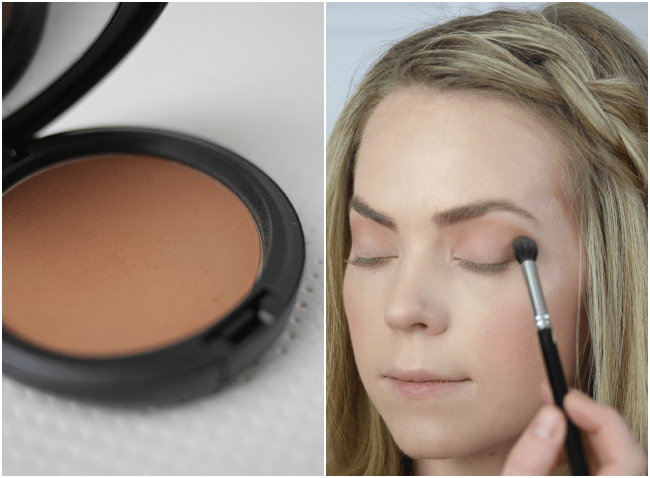 Step 2 / With your favorite contour shade, gently sweep the color into the crease to create a natural contour. I am using MAC Matte Bronzer but also recommend NARS Laguna Bronzer. A great brush for this is the Sigma E40 Tapered Blending Brush. 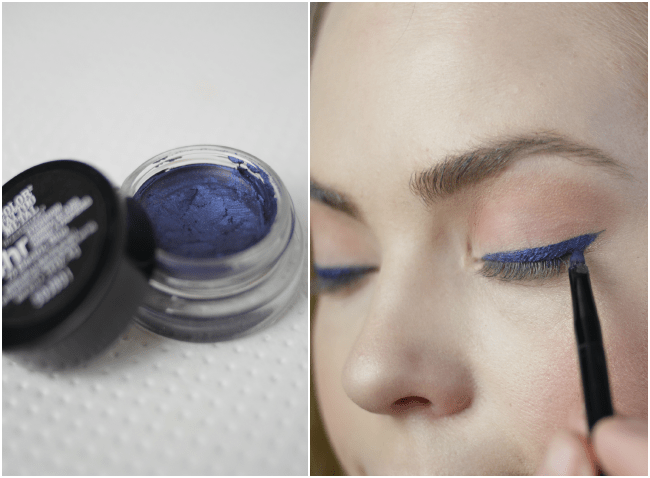 Step 3 / Grab a blue cream eyeshadow, I love Maybelline’s Color Tattoo in Electric Blue. Using a slim eyeliner brush, gently trace a line of shadow along the lash line. If you love a great cat eye, add a little flick at the end. New to liner? Here’s a great tutorial for applying it, How to Apply Eyeliner like a Pro. Step 4 / Next, take a pretty blue eyeshadow, I am using MAC Deep Truth, and gently tap the color along the liner. This is a great trick for keeping your liner from smudging and transferring to the top lid too! Step 5 / Finish with your favorite mascara. Mine is from Benefit called They’re Real! 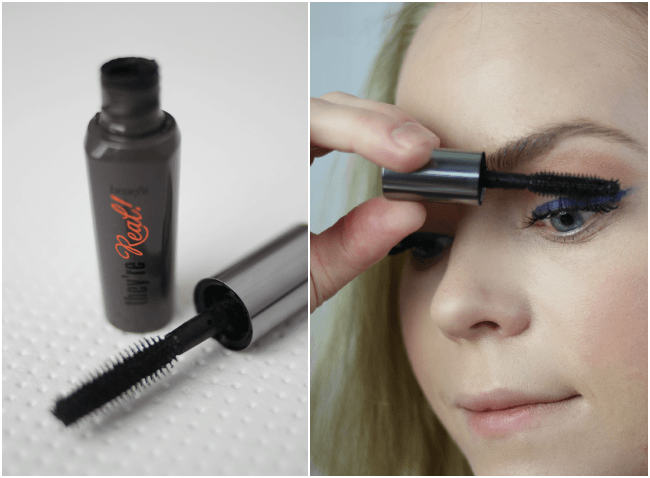 and is the best mascara for faking great lashes! I have a couple of questions for you on beauty products you’ve recommended on your blog. I love Clean & Clear’s Advantage Moisturizer but since it doesn’t include SPF I need to know what steps I can take to protect my face (and in what order to apply each product). I also was devastated when Maybelline stopped carrying Dream Smooth Mousse. I tried their Dream Matte Mousse and didn’t like the coverage. I went back to Rimmel Match Perfection but don’t love the color. Any addition recommendations for a drug store full coverage foundation? For excellent protection, I would recommend applying a full-coverage sunscreen SPF 30 or 45 all over the face and let it dry for at least 10 minutes before following with your regular makeup. For less coverage, a great BB cream or tinted moisturizer with SPF is always great under your regular makeup. This is the first time I have stumbled across your blog, and I am soooo glad I did. I love it here! 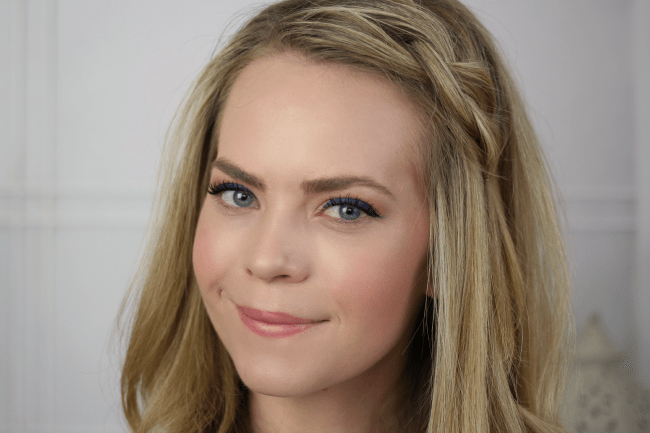 I’m commenting on this post specifically because I have been doing the dark blue eyeliner myself a lot and, as a newer blogger, this post just inspires me in so many ways. I also wanted to know (and you have probably done a video or post about this before), but what makeup do you use on your face? Everything looks so flawless! If you could point me in the direction of a video you have on foundation/powder/blush/etc. makeup, or a blog post, or if you could just tell me here, I am so curious. I love your blog! Can’t say that enough. Looks great on you!! Every time I’ve tried blues on my eyes I feel like it’s just a little “off”… I’ve decided to try more of the purple look. It seems to work better with my hazel eyes. really gorgeous. i want to try this with green!